The Best Mobile App Awards staff wants to make it simple for you to submit your mobile apps to one of our open award contests to be considered by our committee of expert app designers and developers. Once your app is submitted to one of our contests, it will go through our comprehensive judging process. Below you will see our Submission Guidelines to help you better understand what we look for in our app contests. 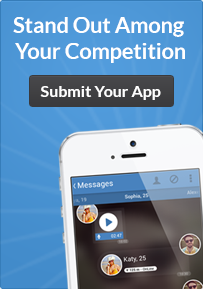 Choose an open award contest that represents your app. Feel free to contact us with feedback if you have ideas for new potential contests. If you must make a change to your submission after it has been submitted, you may contact us with the "contact us" form subject line of “I need to make changes to an existing listing." Once your app is submitted, you will be listed with the other nominees. There is no advantage in the judging process for apps submitted earlier than others, but it does give your mobile app longer exposure on our website, so share with your network. Apps may accumulate "Votes" by leveraging the VOTE button at the top of each nomination page. Only 1 vote per IP address is allowed. Votes are considered when judging apps but are not the only factor. Best of luck to all submitted apps!